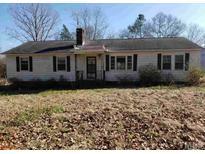 Find Sanford, NC Foreclosures for sale. View Photos, Maps and MLS Data Now! Conveniently located near just about everything. MLS#2245405. 4792. It has a storage buildings and a barn. Needs some updating. MLS#2237466. 2829. These statistics are updated daily from the Triangle Multiple Listing Services, Inc. For further analysis or to obtain statistics not shown below please call Highgarden Real Estate at 919-525-3868 and speak with one of our real estate consultants.